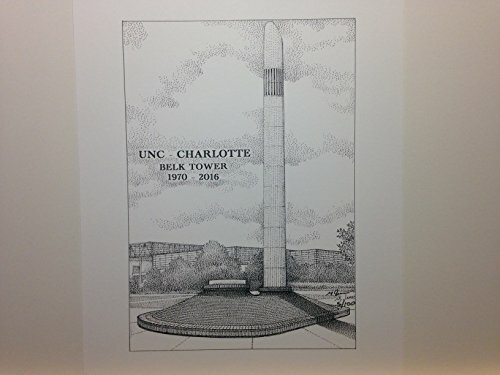 Limited edition pen and ink print from a hand-drawn original of Belk Tower, on the UNCC campus in Charlotte, NC. The tower was just torn down in early Jan. 2016 after being a major landmark in the center of campus for 45 years. The signed and numbered print is from a series of just 100 prints; and your purchase includes the print, foam-core backing, and about-the-artist flyer within an acid-free packaging.